For JOBs - Please Submit the Form - Visit : http://rftronics.net/CAREERS and submit the form. 1. REGISTERED OFFICE: CMD & DIRECTORS : MOGAPPAIR WEST., CHENNAI 600 037. (NEAR MOGAPPAIR WEST BUS DEPOT). Land Mark : Nilgris, at Mogappair west main Road. 2. HR , ADMIN & JOB RECRUITMENT : WEST MAMBALAM CHENNAI 600 033. 3. RESEARCH AND DEVELOPMENT : NUNGAMBAKKAM, CHENNAI 600 034. TAIWAN ( Datong Road, Sijhih City, Taipei County 221, Taiwan R.O.C ). SINGAPORE ( Paya Lebar Road, #06-06 , Singapore 409030 ). JAPAN ( Tomihisacho, Shinjuku-ku, Tokyo 162-0067, Japan ). MALAYSIA ( Mid Valley City, Lingkaran Syed Putra, 59200 Kuala Lumpur, Malaysia ). UAE ( Building 16. Dubai Internet City Dubai - UAE ). USA ( Pioneer Street, Brea CA 92821, U.S.A ). HR - ADMIN and JOB RECRUITMENT office is located at West Mambalam, Chennai 600 033. We have our Research and Development Office at Corona CA (USA). Get in touch with us and find out how we can help you become a world class enterprise as well as become a world class engineer. 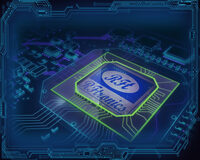 For jobs and related information, Visit : http://rftronics.net/CAREERS and submit the form.